OPEN access operator Grand Central will make the step of withdrawing its HST fleet by the end of the year. The company has made no secret of its plans to run an all Class 180 fleet from the start of 2018, and its six HST power cars – Nos. 43423/ 465/467/ 468/480/ 484 – along with 18 Mk3 trailers will be returned to leasing company Angel Trains. It is unknown what, if any, redeployment plans are lined up for the sets. 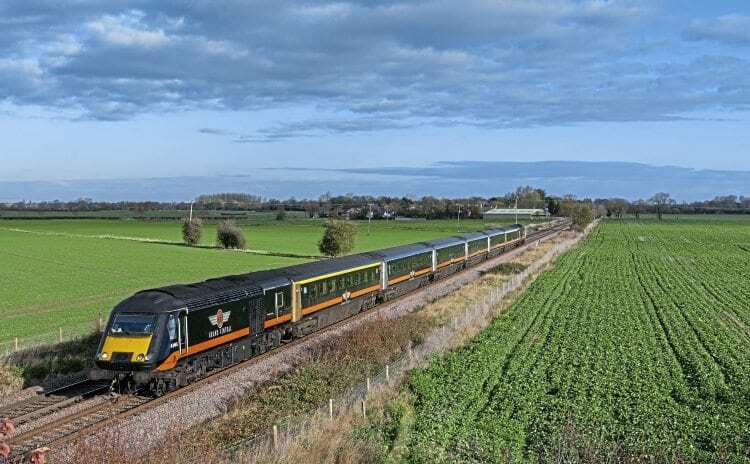 Grand Central already leases six Class 180s from Angel, and the introduction of Class 800 IET sets on the Great Western will allow GWR to withdraw the four sets its operates – Nos. 180102, 180103, 180104, 180106 – to transfer to Grand Central as part of a £5.2m investment package. Set No. 180108 will transfer from GWR on May 1. The move will also allow Grand Central to run some services as 10 cars on its busy services. It also means the whole Class 180 fleet now operates on the ECML; Hull Trains operates the remaining four sets. The motive power change comes as the company, now part of Arriva UK, celebrates 10 years operating under open access rules, and to mark that and the withdrawal of the HSTs, on December 17 the Branch Line Society will operate the ‘Grand Farewell’ charity tour using an HST set.